Looking for a job in Geauga County Ohio? The following is a directory of Geauga County Ohio employers and job seeker resources. This list includes local government job links as well as other job boards. Only sources that have job listing pages, business directories, and/or legitimate human resources contact listings are provided below. Geauga County does an excellent job organizing their departmental jobs pages with direct links to various agencies. During this survey positions found had included Office Coordinator, Physical Therapist, Administrative Aide, Mental Health Therapist, Corrections Officer, Transit Driver, Trauma Therapist, Service & Support Administration (Case Management), LPN PRN All Shifts, Medical Assistant, Library Bookmobile Driver Clerk, Shift Aide Full Time, Engineering Position, Human Resources Coordinator, Library Assistant, Psychiatrist, Social Services Worker 2, Maintenance Worker, Library Aide, Shift Aide Substitutes, PRN and Part Time Emergency Services Therapist, Work Crew Supervisor, Design Engineer, Recreation and Education Assistant, PRN Therapists, Substitute Teacher, Highway Worker, STARS Autism Program Jobs, and Substitute Custodian. 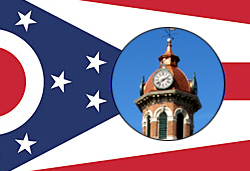 Chardon Ohio posts employment listings when vacancies become available. Middlefield is one of the most prosperous Villages of its size in Northeastern Ohio. Check their pages for opportunities. Chester Township was hiring for the positions of Part Time Firefighter Paramedic and Road Superintendent position. The Chardon Chamber of Commerce is a great resource to use for exploring area businesses, economic climate, workforce information, cost of living, and more. The Middlefield Chamber of Commerce maintains the civic, industrial, agricultural, business and social interest of the Middlefield area in Geauga County, Ohio. Their site also provides a job board. University Hospitals Geauga Medical Center provides an array of inpatient and outpatient medical and surgical specialties, emergency care, health and wellness education. In addition, UH Geauga Medical Center is one of the largest employers in the county. During review there were a number of opportunities available. Job openings found had included Patient Care Assistant, Nutrition Services, Patient Access Representative PRN, Nursing Assistant, Diet Clerk, Clinical Pharmacist, Registered Nurse RN ICU, MRI Technician, Pharmacy Technician, Nurse Practitioner, Physician Assistant PRN, Respiratory Therapist, Patient Care Assistant, Registered Nurse PRN Mother and Infant, CT Technologist, Behavioral Health Nurse RN, Registered Nurse Float Pool Nights $3000 Bonus, Registered Nurse Med/Surg Geauga $3000 Bonus, Occupational Therapist, Pharmacist, Pharmacy Intern, PRN RN Behavioral Health, and Phlebotomist PRN. Ravenwood promotes recovery and wellness for those experiencing depressive, bipolar and anxiety disorders with compassionate individual and group support. Here you can find open positions such as Full-time Medical Assistant, Youth Care Workers. Hotline Worker, Mental Health Hotline Jobs, Psychiatric Case Worker, Mental Health Case Worker, Trauma Therapist, Group Home Therapist, and Psychiatrist. Lake Health Chardon Medical Campus had open positions for Licensed Practical Nurse LPN Outpatient and Medical Assistant on this review date. Check for new listings. The Weils is a leader in senior healthcare in the Cleveland and Chagrin Falls-area community. Here positions periodically become available such as STNA, Registered Nurse (RN) Rehab Unit, Life Enrichment Coordinator in Geauga County, Full Time PCA, and Registered Nurse PRN. HCR ManorCare had open positions available in Chagrin Falls for Resident Caregiver, Activities Assistant, Resident Caregiver, and Licensed Practical Nurse LPN / LVN - Resident Services Supervisor. Check for updates. Holly Hill Nursing Home combines elegant living with a continuum of care to include rehabilitation therapies, skilled nursing, assisted living, and independent living. Burton Health Care & Rehabilitation Center was hiring. Open positions found in Burton included State Tested Nurse Aides (STNAs) $12.05/hr. & Sign On Bonus, Registered Nurse (RN) Sign On Bonus, Licensed Practical Nurse (LPN) Sign On Bonus, Activity Director, Laundry Attendant, Housekeeping Laundry Supervisor, and Dietary Aide / Cook Helper. Berkshire Local School District periodically posts open positions. Cardinal Local School District was hiring for the positions of 9th Grade Basketball Coach and Crossing Guard. Monitor their site for new listings. Chardon Local School District had employment listings such as Recess Monitor, Long Term Substitute Intervention Specialist Grade 7, 4th Grade Home Tutor, 6th Grade Home Tutor, Substitute Recess Monitor, Substitute Custodian, Substitute Cafeteria, Substitute School Secretary, Latch Key, School Bus Aide, and School Bus Driver. Early Childhood Education/Geauga ESC Preschool periodically hires for positions such as Speech Language Pathologist, STARS Autism Program Jobs, Short and Long Term Substitute Teachers, and PRN Substitute Speech and Occupational Therapists. Kenston Local School District had open positions for Elementary Classroom Teacher, Elementary School Teaching Job, Health Aide Substitute, Substitute Teacher, Educational Aide, Substitute Educational Aides, Bus Driver, Substitute Bus Driver, and Substitue Van Driver. Newbury Local School District periodically posts open positions for teaching and support staff positions. West Geauga County Local School District was hiring. Openings found included Long-Term Substitute Elementary Teaching Position, Business Education Teacher, Long-Term Substitute Grade 6 ELA Teaching Position, Educational Aide, School Psychologist, Long-Term Substitute - English Teacher, Proctor, and Long-Term Substitute - Intervention Specialist. Kent State University Geauga is one of seven regional campuses of the Kent State University system. The campus provides over 2400 students in the region with quality academic instruction in several key areas. Here you'll find a variety of instructional and support staff positions. Geauga County Sheriff's Office is a full service law enforcement organization that periodically hires for certified and non-certified support staff. The Sheriff's Office was hiring for the positions of Administrative Aide and Corrections Officer. Check for new listings. The Chardon Police Department employs nearly 20 sworn police officers (12 full-time) and a civilian support staff of 13 employees which includes dispatchers, records clerk, and a parking control officer. Ohio.gov had listings posted in Wood County in departments such as transportation, Health, and Agriculture. Ohio Means Jobs had a number of listings on this review date.